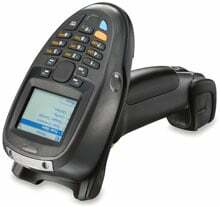 Motorola MT2070 - Scanner Only, Laser Standard Range, Batch only. Streamline scan-intensive data applications with the Motorola MT2070. Combining the simplicity of a scanner with the intelligence of a mobile computer, these handheld mobile terminals provide advanced 1D/2D barcode, DPM and image capture, as well as the ability to key in and view data. Bluetooth, corded and batch connectivity options provide the flexibility to meet a wide range of business needs, and the ergonomic yet rugged design offers comfortable, reliable operation throughout your environment. The Motorola MT2070-SL0D623717R is also known as MOT-MT2070SL0D623717	or MT2070SL0D623717R	.